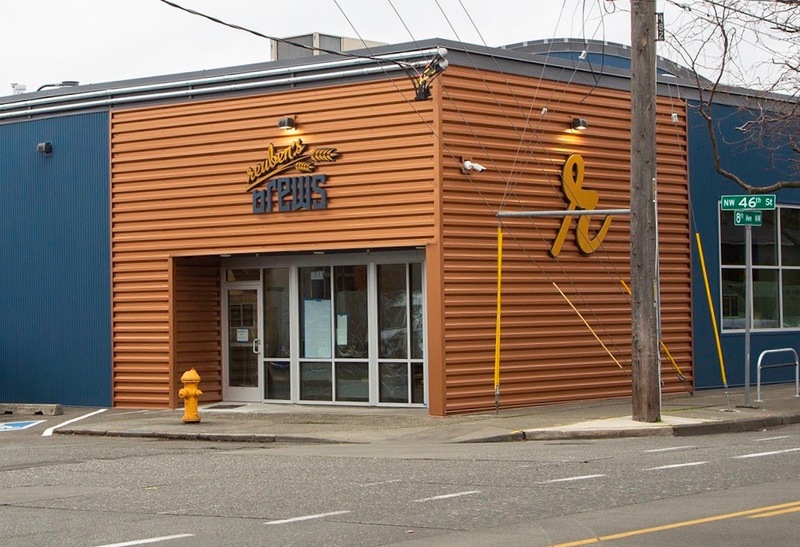 23 January 2019 – Seattle, WA – Reuben’s Brews, a family-owned Pacific Northwest brewery, has started brewing at its new production facility, located just blocks from its popular Taproom in Seattle’s Ballard district. Brewing has already begun at the new location, consolidating and streamlining production for the brewery. “Back in 2012 we opened a brewery to experiment and brew new styles of beer, and our new production brewery helps us keep true to these roots. The new facility allows us to add even more variety to our offerings and at the same time allowing us to get more of people’s favorite beers into their hands. We’re looking forward to a fun and rewarding year,” said Adam Robbings, co-founder and brewmaster for Reuben’s Brews. Last year, the Reuben’s Brews team released more than 140 different beers, including unveiling the first beers from its barrel-aged sour program. In addition, the brewery took home its 200th medal from regional, national and international award programs, including a Best of the Northwest award from the U.S. Beer Tasting Championship for its ever-evolving Crush Hazy IPA. The brewing team continues its focus on intense innovation and drinkable everyday brews with the new brewery, which was lovingly rebuilt from the studs and created with a nod to the building’s 70-year-old architecture. The building features a barrel roof and open joists, with tanks placed at specific locations within the space to maximize the use of the ceiling height. The new 30BBL, three vessel Pinnacle Stainless brewhouse was made in Portland, OR and has features that allow the team to continue to innovate – specifically around hoppy beers, kettle sours, and lagers. The facility’s new tasting room, The Brewtap at Reuben’s Brews, will have its grand opening on March 2nd, tapping a selection of the beers brewed on site. The brewery’s existing Taproom on 14th Avenue will not change and will continue to be where the majority of Reuben’s innovative beers are poured on its 24 taps.